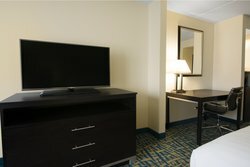 Set up your home base in our King Suite, featuring a separate living room and master bedroom. 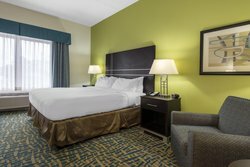 Our recently renovated lodgings provide guests with the ideal place to stay a little longer to explore Savannah’s historic district. The bedroom has a soft king bed, while the queen sofa bed in the living room converts into an additional place for guests to sleep. 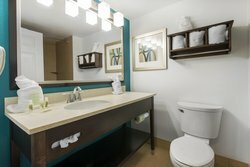 Each of our suites come with the comforts of home, in addition to Signature Holiday bedding. 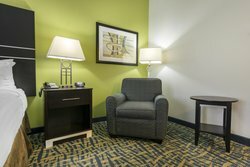 Connect to complimentary Wi-Fi or kick back with your favorite show on the 42” flat-screen TV. Prepare a snack with the convenient microwave and mini-fridge. 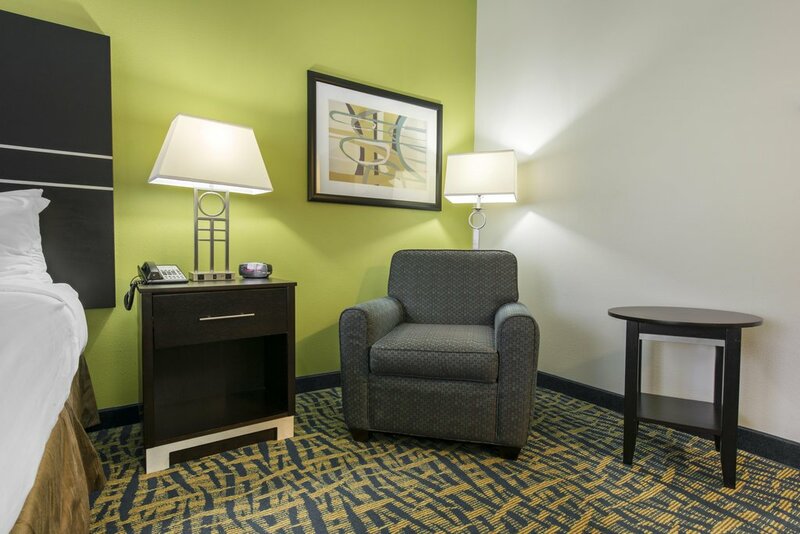 Make your stay your own at Holiday Inn.